Speaking of those ongoing books, in an odd twist of fate, another King-penned story with some similar tropes unfurled in this week’s Batman #63. The current arc of the book—featuring writing by King, art by Mikel Janin and Jordie Bellaire, and lettering by Clayton Cowles—has seen Batman thrust into multiple dream scenarios that are, well, more like nightmares, where he finds himself seeing those nearest and dearest to him shockingly perish. 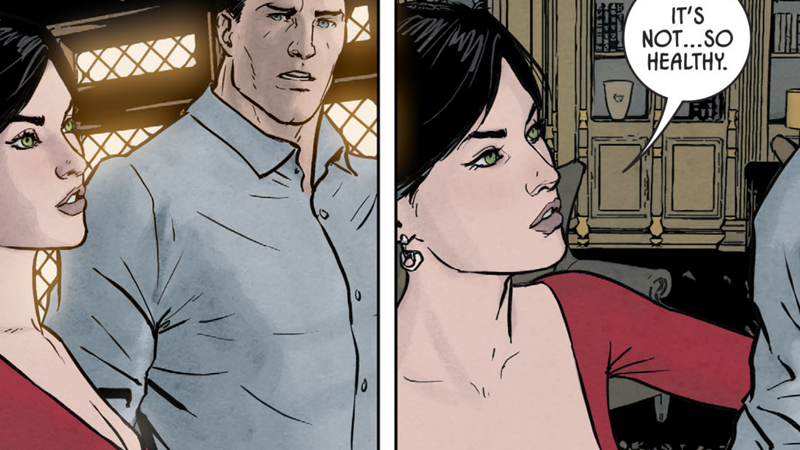 This time around the victim is...Selina Kyle, aka Catwoman—putting Batman into a dream world where she did not actually leave him at the altar back in Batman #50, and the two are now instead happily married.